Cartier - Both are time only watch. 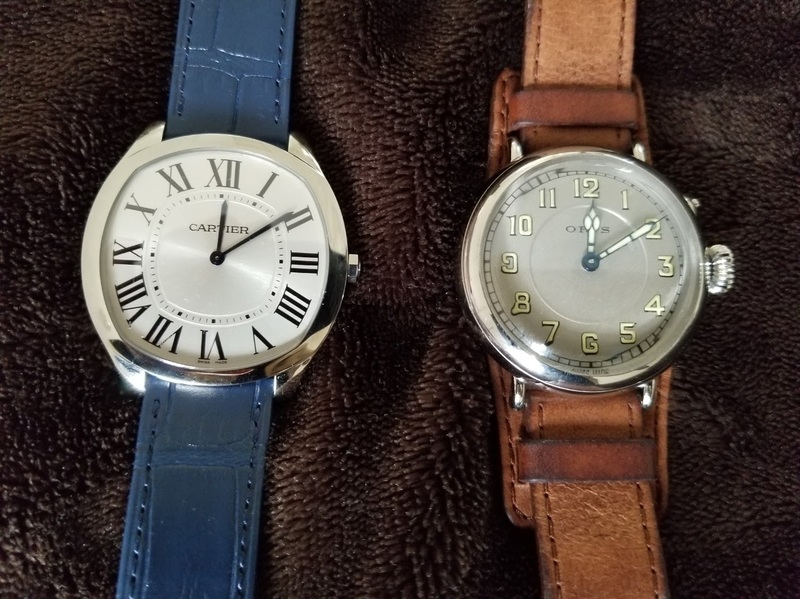 The Cartier and the Oris, both are very nice and in stainless steel. Of course the Cartier is more distinguished brand and cost twice as much. Both are time only watch. The Cartier and the Oris, both are very nice and in stainless steel. Of course the Cartier is more distinguished brand and cost twice as much. The Cartier Extra-flat can be dressy but can be a causal everyday watch too. The Oris is vintage inspired and I would say it is more causal everyday watch rather than a dressy one. the Oris what does the pusher do? but don't you just love those digits on the Oris? Never seen any like this before.